This two-volume primary-source collection provides a wide array of voices from the nationÃ¢â¬â¢s past while emphasizing the important social, political, and economic themes of U.S. history courses. Thirty-one new documents (one per chapter) allow for a multiplicity of perspectives on environmental, western, ethnic, and gender history and more global coverage. 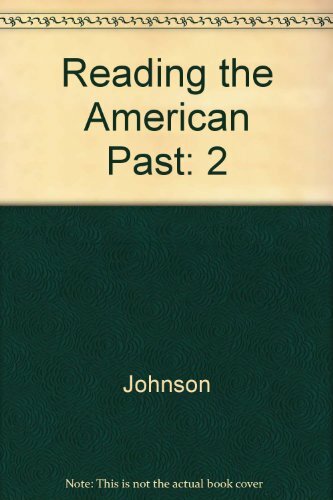 Edited by one of the authors of The American Promise and designed to complement the textbook, Reading the American Past provides a broad selection of over 150 documents and editorial apparatus to aid studentsÃ¢â¬â¢ understanding of the sources. This edition also contains Berry Fun!